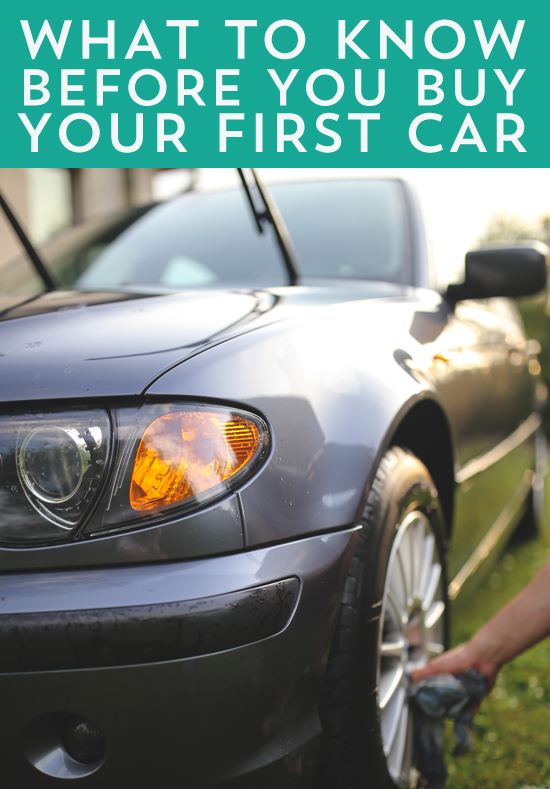 Buying your first car can be overwhelming- especially if you need to consider a budget! If it’s your first time buying a car, it can be confusing to know how much to spend, calculate the hidden costs or figuring out if you should buy used, new or lease, so hopefully this post will be helpful! 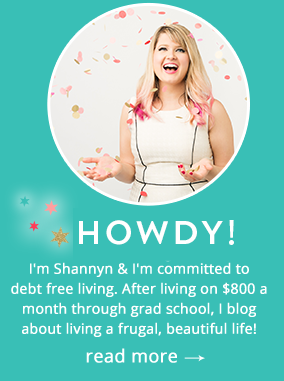 Of course, you’re smart enough to know that you should have a budget and stick to it. You’ve also probably prepped yourself mentally to go up against the creme de le creme of sales tactics from the car salesman, but it can still be baffling to even know what you should spend on a car in the first place. A rule of thumb is 10-20% of your yearly income- but take into consideration how much you really care about your car in the first place. If your car is a point of pride for your status in life, you might be inclined to spend more, but remember that cars are a depreciating asset. If ever there’s a case to not spend more than you can afford, it’s with a car. That being said, if you make $50,000 a year, you can afford to spend about $10,000 to $15,000 on a car. Currently a 2016 Honda Civic sells for about $19,000- so looking at your budget will help determine if you can afford a new or used car. Remember, a new vehicle depreciates about 15-20% each year, and up to 40% after just two years. If you are overextending your budget for a depreciating asset, beware- but if you want to buy used, you can use it to your advantage! If you’re still feeling overwhelmed about budgets and deciding between a new and a used car- a sweet spot is finding a car that’s about 2-3 years old with about 20,000 miles on it, which could easily get the car you want back in your budget with a few thousand dollars shaved off the sticker price. Do your research, breathe deeply, and you can make it work! Leasing can be tricky if you’re really not sure how many miles you’ll be driving, as the agreements can be stringent about mileage and normal wear and tear. If your life situation may change, like perhaps you’ll be getting a new job and aren’t sure how the commute will be, leasing can cramp your style and get costly. You may know that when you lease a car, you never really own it (which is great if you don’t want to deal with it), but did you know that if your leased vehicle is in an accident, you still owe the full lease amount? To say it another way- if your insurance company only pays you 70% of what the car was valued at after a serious accident, you still need to pay 100% of the value of the car- and unfortunately, you don’t own any of it. You will then be on the hook to split the difference between a new car to drive and the car that’s in the salvage yard which you’re still paying on, a double whammy. Insurance Is Important, Keep It In Mind When Buying a Car! Insurance might be the most unfun thing about buying a car, but it’s one of those expenses that can be highly variable based on how much you drive, how you drive, and of course, the car you’re purchasing. Additionally, how old you are, whether you’re buying or leasing, and where you live also impacts your rates. Each state has different minimums for auto coverage, so be sure to do your research. You’ll also want to make sure you estimate the right amount of liability coverage when you shop for auto insurance. Liability covers things like medical bills or property damage if you’re at fault in a car accident. While you’ll need to figure out what works best for you, having at least $500,000 in liability coverage is a safe bet without being insanely expensive. That being said, you can also check in with your insurance company to make sure you’re taking advantage of every discount program they have available. For instance, if you’re an Allstate customer, you could save money by bundling your policies. Many companies will offer better rates if you are a student with good grades, or have a low incident record- but you need to regularly check in to make sure you’re getting the best rate. One Last Tip- Try the Drivewise App from Allstate! Drivewise is an app that’s completely free and helps you earn rewards for your everyday safe driving. It’s almost like a fitness tracker but for your healthy driving decisions. By completing driving challenges like keeping your speed under 80 MPH for 3 days, and limiting hard braking, Drivewise rewards you with Allstate Rewards® points (unavailable in New York). You can use your points to participate in auctions, get local offers or redeem for savings on brands you know and love- like Kate Spade and Nike. It’s easy to use (meaning you really don’t have to do much but drive) and I’ve already used some of my points toward some tantalizing gift cards! And, as a bonus, <Drivewise is open to everyone. Even better, in most states if you have Allstate as your insurance provider, you also get cash back or a discount for using this app as well. Talk to your local Allstate agent about whether Drivewise is available to you!